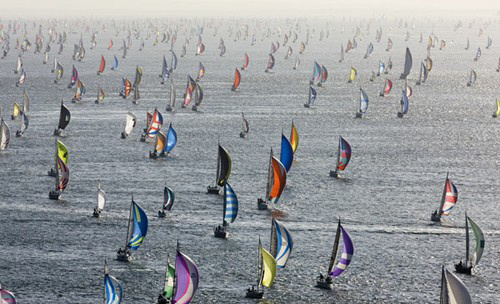 The world's biggest race, be part of it. 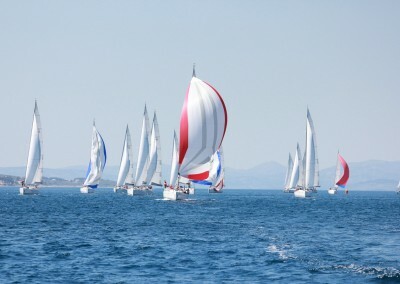 The annual J.P. Morgan Asset Management Round the Island Race, organised by the Island Sailing Club, is a one-day yacht race around the Isle of Wight, an island situated off the south coast of England. 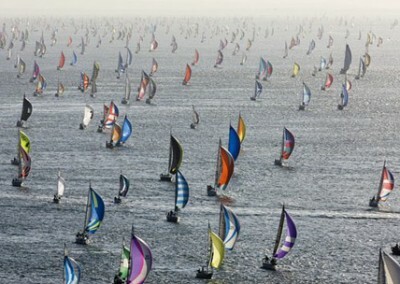 The race regularly attracts over 1,700 boats and around 16,000 sailors, making it one of the largest yacht races in the world and the fourth largest participation sporting event in the UK after the London Marathon and the Great North and South Runs. 5 th of July, 18:00 – Arrival and check in. 7 th of July, 04:00 – Breakfast and Go GO Go! It’s the race day! 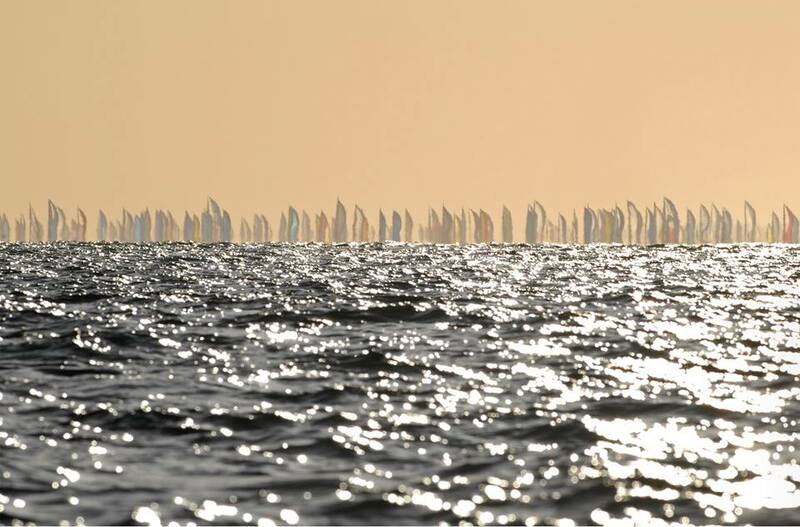 Get round the island fast (that’s the hard bit) and moor up in Cowes and enjoy exciting atmosphere of the Race Village with thousands sailors around drinking beers and sharing the memories of victories and epic fails of the day, tho stages with live concerts and parties till dawn! 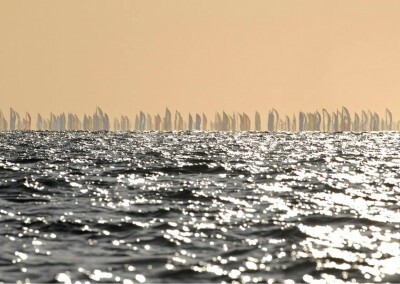 8 th of July, 10:00 – Breakfast and head back to Mercury Yacht Harbour. Join us for a weekend of fantastic racing in the world’s most prestigious sailing event. If you have never taken part, you have not lived! 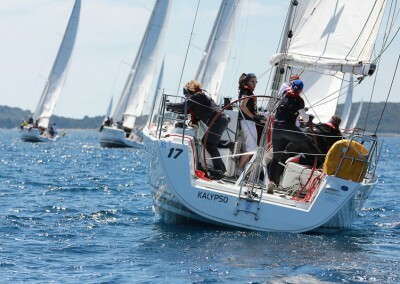 We offer a number of packages, starting from individual places to fully skippered yacht ready for hard racing, team building and corporate entertainment. 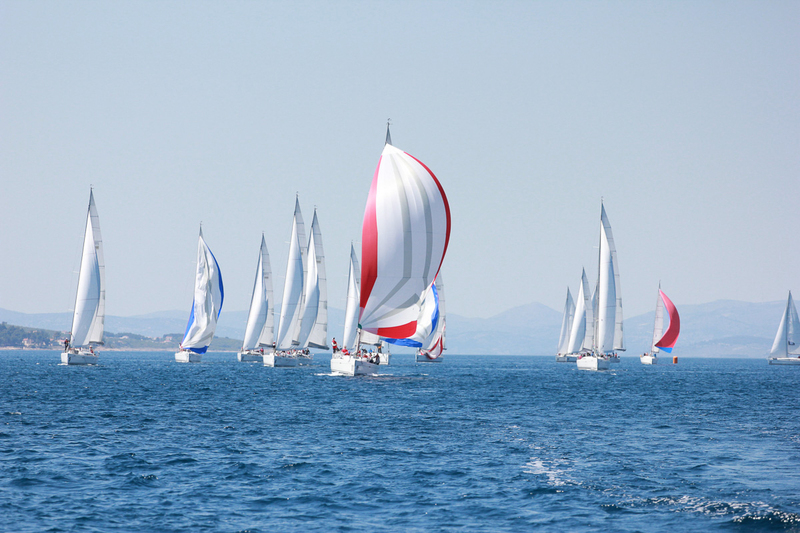 We can, of course, provide any kind of branding required, including hull and sails advertising. Unless requested, we do not place more than 6 crew on board, which means that everyone gets to race, which is exactly what the weekend is about. You can do as much or as little as you like, of course, but we find that everyone tends to have much more fun if they actually get to be part of the crew, rather than just enjoy the scenery!